Despite constant headlines about cyber attacks, organizations continue to take hefty risks by leaving their systems and data unnecessarily vulnerable. According to Kaspersky Labs and the Ponemon Institute, 90% of businesses have experienced a cyber attack, with an average cost per breach of $3.6 million. Ponemon estimates that 27.7% of organizations surveyed will likely suffer another material breach within the next two years. Eliminating all cyber incidents is impossible, but a unified corporate approach to security that combines risk assessment, comprehensive security technologies and employee training can create a strong defense. Here are 7 steps you can take toward creating a culture of cybersecurity. 1. Everyone needs a seat at the table. Senior executive engagement is given, but it’s important to have every department represented. IT, Legal, Finance, Marketing, Human Resources and other departments all need to cooperate when it comes to cybersecurity. 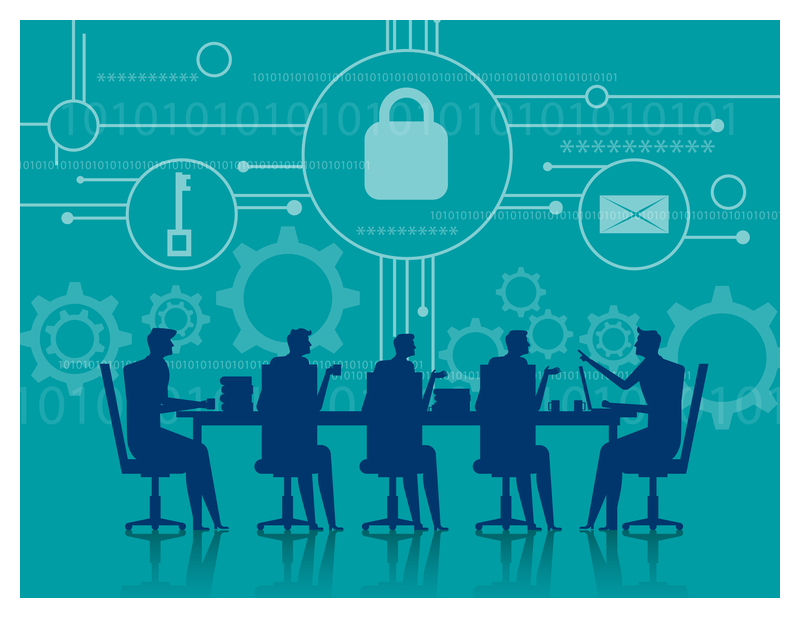 Lack of participation can lead to a weak link in an organization’s security chain. 2. Don’t be your own worst enemy. Be proactive and invest in the necessary security technology, end-user training, and business processes. The long-term costs associated with a breach such as remediation, fines, and lawsuits are far greater than the precautionary spend on a comprehensive security solution. And there could be endless damage to reputation and business value. 3. Compliance does not equal security. Compliance is crucial, but it does not provide sufficient protection from targeted attacks. Fulfilling regulatory compliance requirements may exonerate you from government-issued oversight and fines, but it does not exempt you from other recourse including loss of business, lawsuits, or reputation damage. 4. The enemy you know. Employees are the first line of defense against cyber-attacks, and also, potentially the company’s most glaring vulnerability. They don’t need to act maliciously—employee carelessness can be just as detrimental. Companies need to ensure that all staff members, from the top down, are educated about the risks of sharing personal information on the Internet as well as how to recognize a targeted attack and what the protocol is when such a scenario arises. You can protect your sensitive data only if you control the devices that access it. Businesses need to make their BYOD security and access control policies clear, especially for the increasingly mobile workers who access critical business applications and sensitive data from their own devices. 6. Adopt the latest security best practices. 7. Managed security is your best defense. Companies large and small face shortages of qualified and capable staff, limited budgets and inability to effectively implement a security solution that thwarts today’s threats. And that’s why putting your company’s security into the hands of a Managed Security Services Provider (MSSP) could be your smartest move. Our dedicated team of experienced analysts and certified engineers do nothing but cyber security. They keep our clients up to date on key changes within the industry and in today’s ever-changing threat landscape. We can help you build your culture of cybersecurity. Contact us today.